The Canadian company Erin Ventures is interested in buying sulfuric acid, which is a byproduct of the production of copper in the Mining and Smelting Combine Bor, stated the president of the Canadian company, Tim Daniels, during his visit to the mine. Daniels said that Erin Ventures was engaged on a project related to the processing of borate and the production of boric acid near Raska and that they needed sulfuric acid for the process, the MCS Bor gazette Kolektiv reports. The general manager of MSC Bor, Blagoje Spaskovski, said that the increased rate of production in the new MSC Bor facilities would produce a surplus of sulfuric acid and expressed his hope that an agreement on the economic cooperation would be reached. 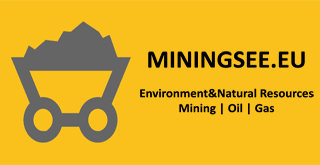 Erin Ventures is a mining company which has been taking part in projects in Serbia since 1996. They have completed a USD 85 million project and provided 150 jobs in Serbia so far.